Below, you'll find information that will help you get to know us better - from awards and credentials achieved, to references from past clients. We consider the satisfaction of our clients to be my greatest achievement, and take pride in our high volume of repeat business and referrals. I have dealt with many different realtors over the years and it's always been the same. When I'm buying something, it's the best deal ever, oh and careful there's someone else interested as soon as I express any interest. Whenever I've gone to sell I'm asking way too much and there is not much interest and I should lower my price or take the first offer that comes along. Bruce Fournier will not play any of these games and it is a breath of fresh air to have a realtor with integrity and to deal with someone who is actually on your team, working solely on your behalf. We bought and sold multiple properties with Bruce this year and I was eager to refer Bruce to my family for their real estate needs. They had the exact same result with Bruce assisting them through multiple offers and in the end they got $20,000.00 more than their asking price. I highly recommend Bruce Fournier from Remax for all of your real estate needs, we will definitely be using Bruce's services for years to come. By Choosing Bruce you are choosing a class act. We could not have been happier with our house selling and buying experience, and the help that Bruce showed us over this normally stressful time. If you choose Bruce we are more than sure you will be a customer of his for life as we will certainly be. Words cannot express the gratitude I have for your work in getting me the deal of a lifetime! At first it seemed like only a dream - You have proved that dreams can happen. Bruce Fournier: Congratulations and recognition of appreciation for 15 years of Loyal and Dedicated Service. You may take pride in the knowledge that through your efforts and daily contributions, you have woven a considerable part of yourself into the fabric of the organization and contributed to the organization's many achievements over the years. Bruce, A note to say thanks for being so thoughful. Thank you for showing us listing after listing and always keeping your eyes open for us. Thank you for all of the time and effort you've given to us. An in case we didn't say it... Thank you! My daughter recommended Bruce to me, as her son had bought a house via Bruce and was most impressed with him. Our home sold quickly with an absolute minimum of inconvenience to our family. We very much appreciate all that Bruce did to make this experience a happy one. Bruce goes the extra mile in dealing with his clients. We would highly recommend him to anyone looking for an honest, helpful agent. I think that he did a wonderful job and I would recommend his services to any one of my friends. Your patience was greatly appreciated. We would recommend you to anyone as one of the best realtors we've dealt with and we've dealt with a lot!! Rest assured that we will tell all our friends about the great service you provided. Thanks so much for selling our home. You said you would take the pressure off us and you did that and more. We have appreciated your hard work and dedication to your profession. It certainly was a smooth transition from the sale of our house to the purchase of this one. Thank you for helping us find a great place to call home. You're a professional all the way. We felt Bruce was genuine and concerned with our best interest. We appreciated Bruce's "no push" attitude and patience. Bruce was always available to us when we needed. Bruce is a responsible, reliable person; a person you can trust and have confidence in. Very positive! We would not hesitate to recommend him to anyone else. He would make us feel comfortable, always concerned and looking out for what was best for us. We really valued his opinion. Thanks again Bruce! We really appreciate everything you've done for us!! He was pleasant to talk with. He wasn't pushy. He laid everything out on the line. He was very honest with everything. He was a great person to work with. He worked for us 24 hours a day. No matter what time of day it was he would always call us back if we had a question regarding our house. In a minute I would recommend Bruce, just for his patience and honesty. I felt our experience working with Bruce is like having Bruce as one of the family. I felt confident with Bruce and enjoyed his company. The plan we were able to set out was executed to perfection and I feel I got what I want, when I wanted it. 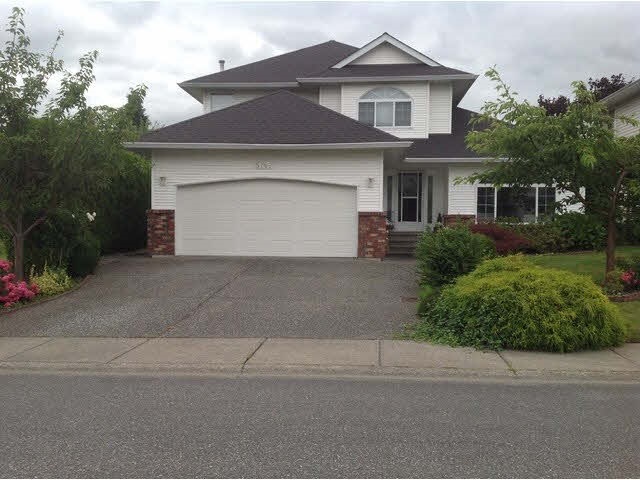 You will certainly have my endorsement to anyone that will be buying or selling in Chilliwack. Membership in the RE/MAX Platinum Club places Bruce among the top professionals in the real estate industry. Congratulations on your exemplary achievement. Your continued success is inevitable and RE/MAX is proud to have you on the team. In appreciation and in recognition of his outstanding performance and achievements in the real estate profession. Bruce is congratulated on making the RE/MAX dream a reality and best wishes for continued success. Bruce has received this award since 1996! Top 20% of Realtors in Chilliwack. Bruce is consistantly in the top 10%. Bruce has been honored by RE/MAX with the Lifetime Achievement Award in 2008. This international award recognizes outstanding achivement and high productivity in 20 years of selling with RE/MAX. It is the highest level of achievement within the RE/MAX organization. The greatest achievement is Bruce has proudly moved over 1200 happy customers! Members of the RE/MAX Hall Of Fame, are distinguished as one of the elite in the entire real estate industry. Bruce has produced real estate sales exceeding those of entire sales staffs of other companies. This extraordinary professional achievement along his dedication and loyalty qualifies Bruce for a place of honor in the RE/MAX Hall Of Fame.